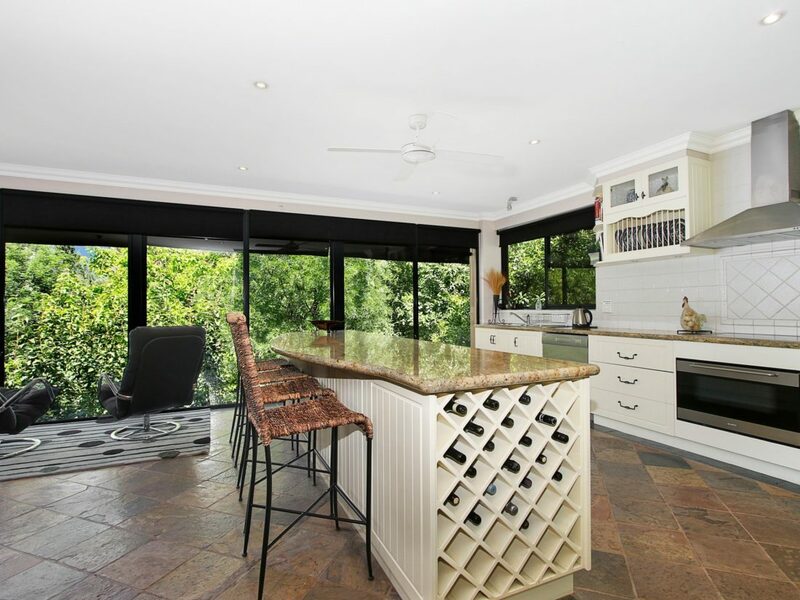 Located on the Ovens River, this very large home is two storeys of pure decadent luxury. The first floor features two huge upstairs outdoor entertainment areas with extensive views of the surrounding hills. The kitchen is simply grand – a chef’s dream, with a large island bench, fully equipped with all needs considered. Industrial air conditioning is provided to the upstairs area, plus ceiling fans in all rooms. For winter, there is a gas flame heater in the lounge for that ‘extra’ atmosphere. On the first floor is two bedrooms – one has a king bed and ensuite, and the other has a queen bed. The ground floor there is a bedroom with two bunk beds, a single bed and ensuite bathroom. The fourth has a queen bed, single bed and sofa bed. Located on ‘Canyon Walk’, this property is discreetly secured to ensure toddlers cannot wander into the river. Step out the back gate, turn right and you are at the river. Turn left and you are a short to the centre of Bright township along the beautiful Canyon Walk.